Here’s another project we have recently worked on. 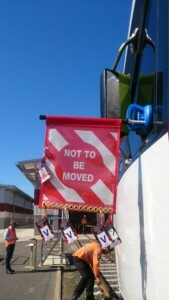 These banners are attached with heavy duty suction cups to the train whilst being worked on. All workers attach their id’s to this banner. Great idea.